You Are Here: Home » Practice Management » Do You Know the Etiquette of Connecting on LinkedIn? 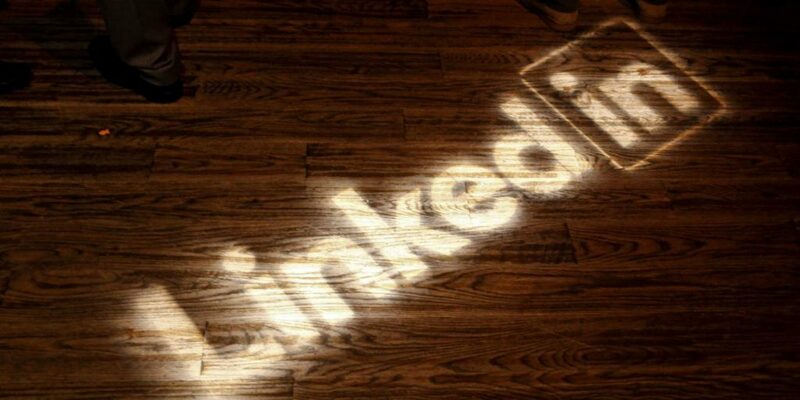 If you want to grow your network of leads, prospects, clients, and referral sources, then LinkedIn is probably the best social media platform to jump into. Most of you are already playing in that sandbox anyway, and with a few tweaks, you can do better. Much better. Because of my RV lifestyle, almost all my new contacts over the past eight+ years have come through LinkedIn…which just goes to show the power of the platform. But one of my pet peeves is seeing the shockingly poor way we connect with each other. If you don’t want the people you’re connecting with to ask those kinds of questions, you need to customize your invites. There is an etiquette to connecting on LinkedIn, at least among the people who do it well. Think of connecting on LinkedIn as a face-to-face conversation. You don’t introduce yourself the same way on every occasion, right? There is always a context to how you frame your opening move. Why should your invitation to connect on LinkedIn be any different? Hi [name]. Thanks for checking out my “[title]” article on LinkedIn. If you think we share similar interests, I’d love to connect. Hope you’ll accept this invite. And all my custom invites are signed “Rod Burkert | Burkert Valuation Advisors”. I hope you can see that customized invitations like these are more likely to accomplish your objective of making valuable connections while also conveying a glimpse of your intent and personality. If the answer seems obvious, then what should you do when you accept someone’s invitation to connect on LinkedIn? Do you just hit the “Accept” button—maybe after reviewing the person’s profile? Then move on because work and life are coming at you at 100 mph and, you know, you’re busy? If you do, you may waste an opportunity to build a relationship or, perhaps, even sell a service. What if your new connection—someone who already made the effort to reach out to you—just needs a little nudge in the right direction to make them ask? Hi [name]. Thanks for reaching out and connecting…much appreciated! I see from your profile that [list a commonality]. Is there a specific reason you connected? What can I do to help you? Generally, everyone answers me back with something. It would be rude not to, right? That is the beginning of an online conversation. And you’d be surprised by the number of times people want my advice, recommendation, or service…which allows me to demonstrate how I can provide value to the budding relationship. You might think typing out all these different invites and thank yous is tedious. It could be, but that is where TextExpander (for PC or Mac) comes in. TextExpander allows me to write out messages and save them as “snippets.” A keyboard shortcut you create for each snippet allows you to invoke it anywhere you type text—e-mails, social media updates, Word documents, Excel spreadsheets, etc. I use shortcuts like “iinvite1” for my different invitations to connect. And “connect” brings up my thank you message. I hope these thoughts and ideas improve all your LinkedIn interactions, but especially how you send and accept invitations to connect. Your mileage may vary, but give it a try and see what happens. Rod Burkert, CPA, ABV, CVA, runs things over at Burkert Valuation Advisors, LLC. He’s reinvented his practice several times after going solo in July 2000. Today, Rod’s practice offers coaching, training, and consulting to colleagues and clients in the BVFLS world. And since March 2010, he’s been traveling full time throughout the United States and Canada in an RV with his wife and their two dogs.